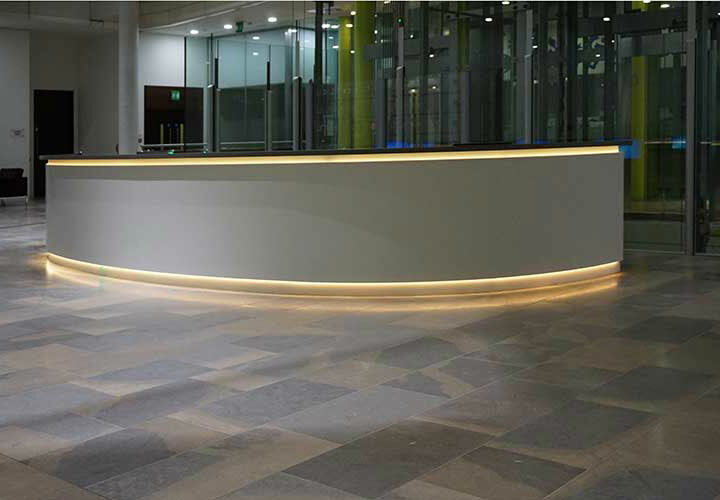 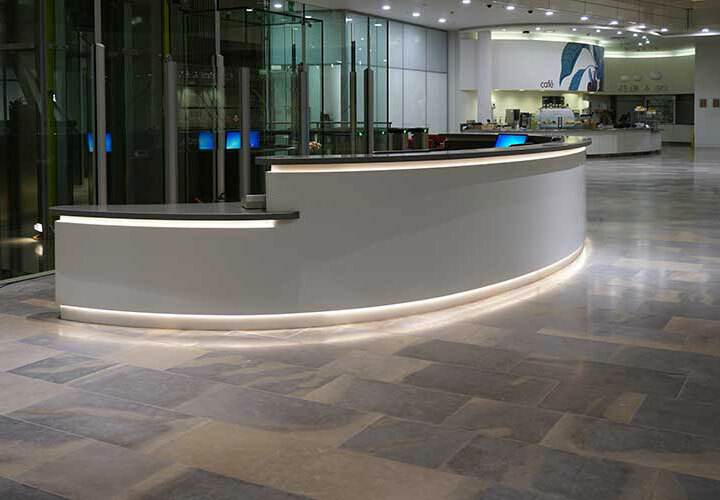 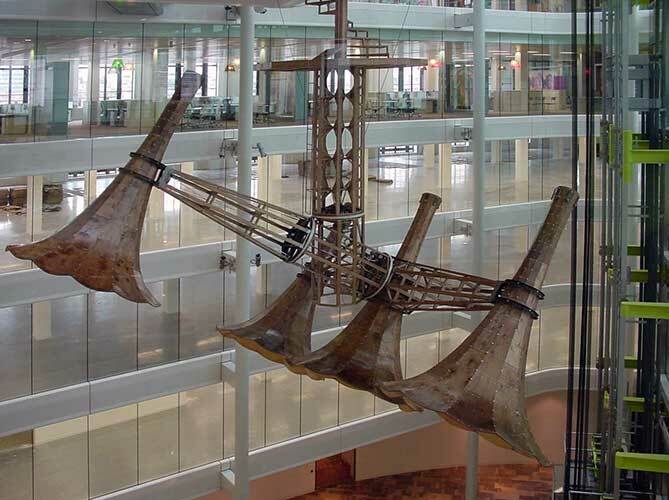 A brief was taken from the Client for a new bespoke reception desk to be installed in the main foyer. 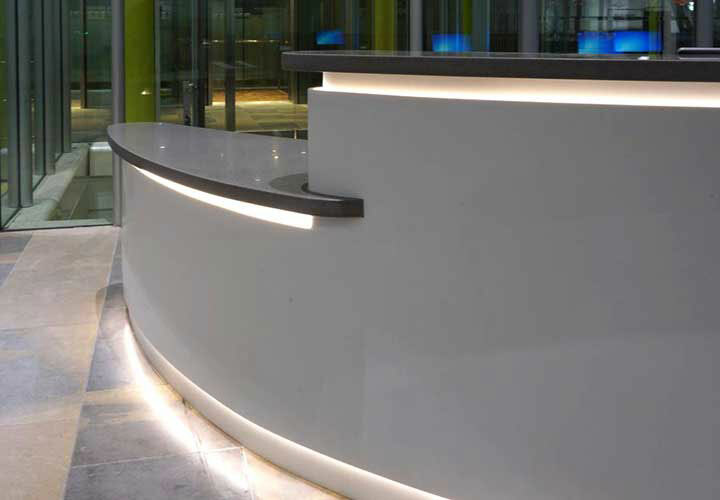 The brief covered the requirements for 4 receptionists, DDA compliant counter, shape, materials, overall aesthetics and functionality. 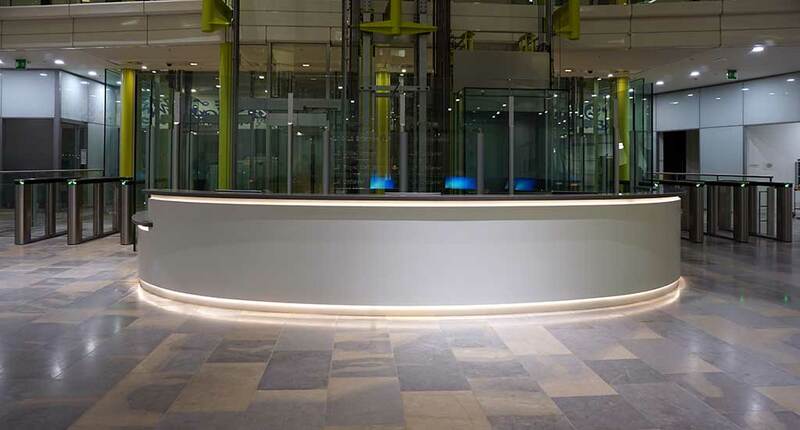 A simple but elegant curved desk was chosen with a fully panelled front featuring led lighting at skirting level and immediately below the countertop along the full length of the desk. 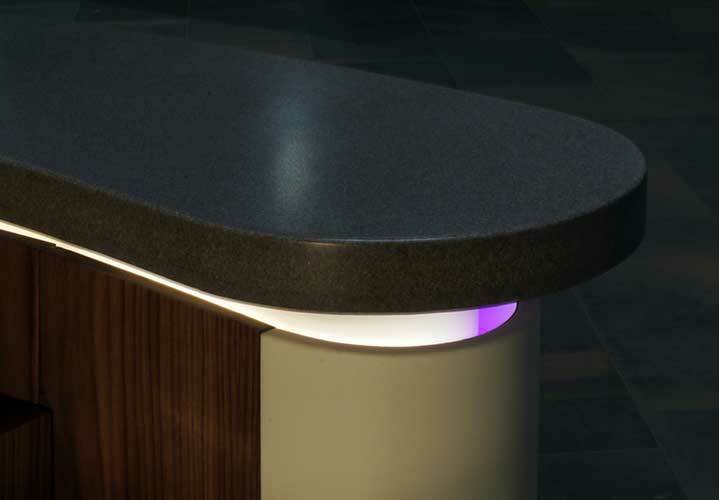 A lower DDA counter was incorporated to one end. 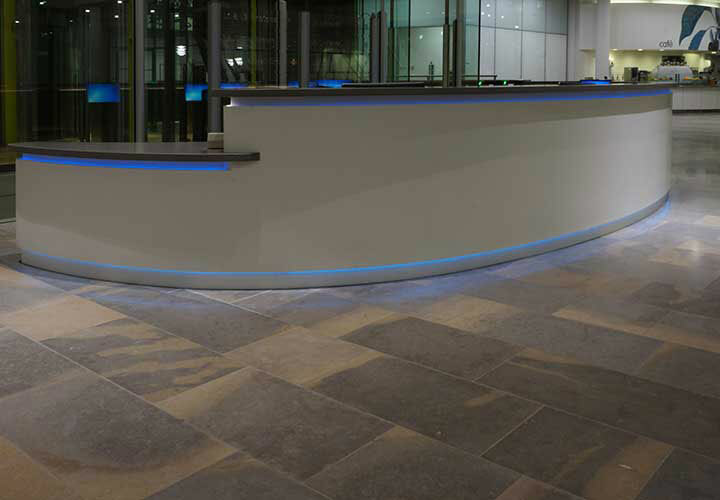 Main finishes were white Corian for the exterior vertical panelling, and grey speckled Corian for the countertops. 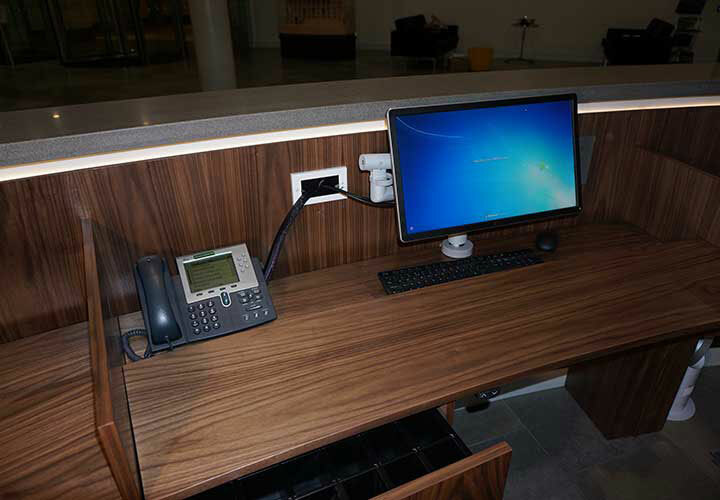 The desk surfaces and internal panelling were made in walnut veneer. 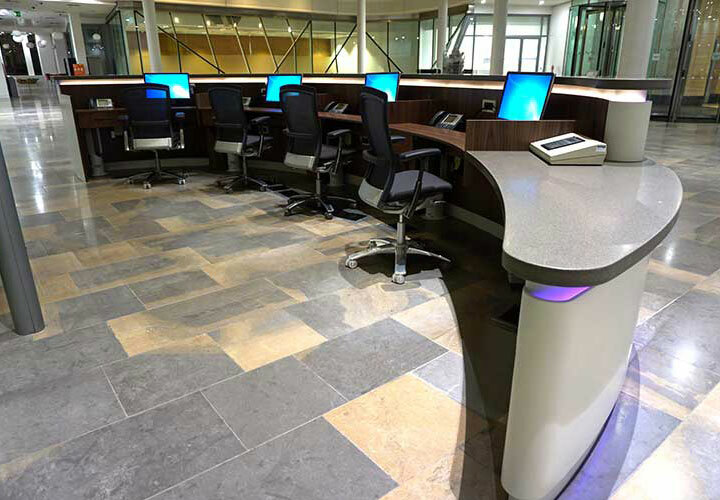 The four desk tops are independently height adjustable with a hydraulic mechanism which is controlled by each user via a keypad located underneath the top.